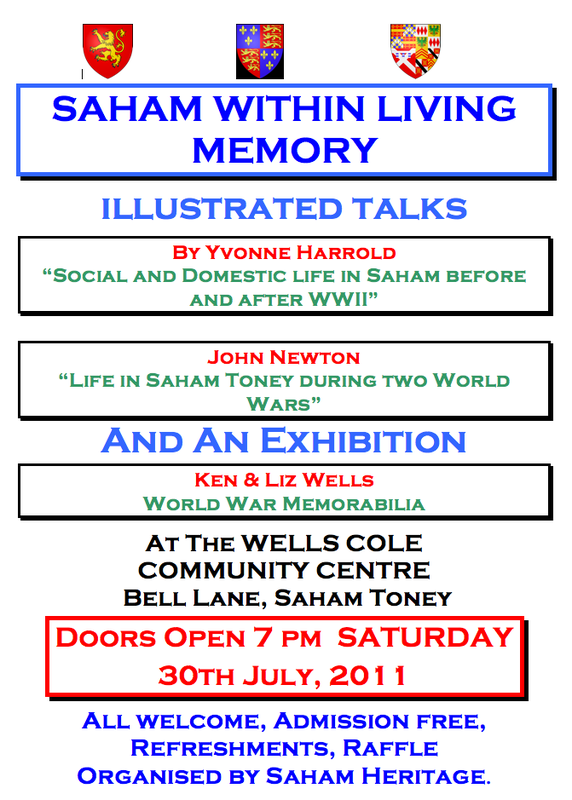 Come to a wonderful local history evening 'Saham Within Living Memory' with two illustrated talks and an exhibition (see the poster for details) on the theme of Saham during the two world wars. 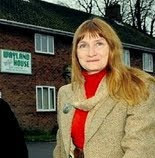 The event is being held at the Wells Cole Community Centre, Saham Toney. 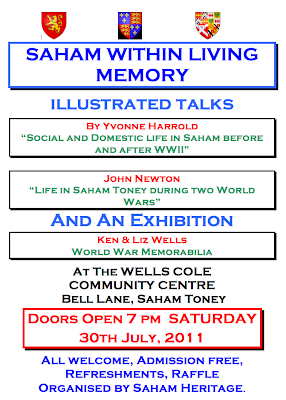 It is being organised by Saham Heritage, it starts at 7pm admission is free, and refresments will be available.